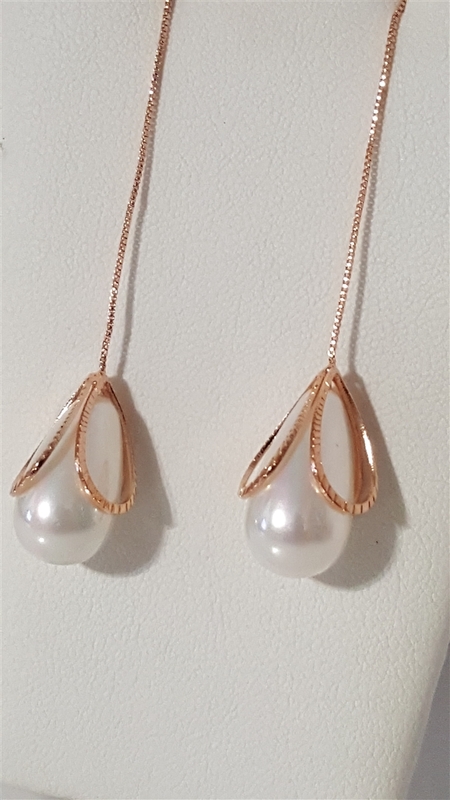 Elongated fashion earrings. 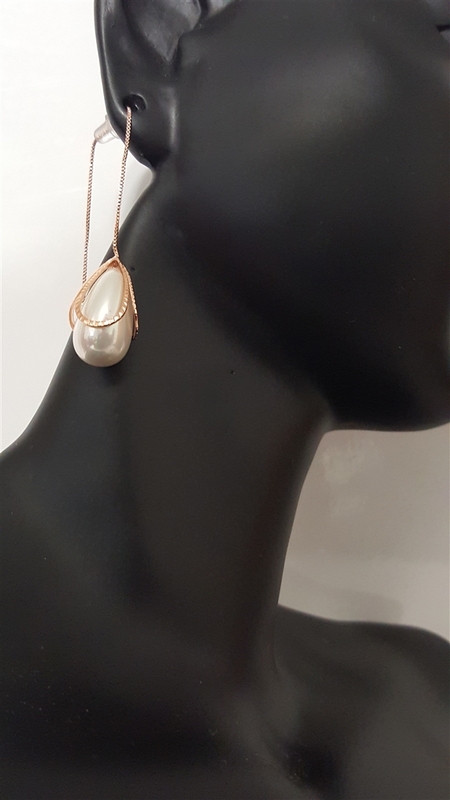 Stimulated pearl cased in a fashion rose string. Adjustable stem to wear earring close to earlobe or hanging along the neck.